The priests and the diviners of the Philistines hatch a plan to send the ark of the covenant back to the Israelites: they made gold models as a guilt offering of 5 gold tumors and 5 gold rats in a cart with cows who had never been yoked before. They put the guilt offering and the ark in a cart. If the cart went towards Beth Shemesh, then it was God against them. Otherwise, it was chance. When the ark returned to the Israelites, they sacrificed the two cows as burnt offerings to God and the large rock they set the ark down upon remained a witness. However, 70 Israelis died because they looked into the ark. 6) The Philistines knew they had to send a guilt offering to God. By sending gold models, the Philistines hoped to send the originals out of the country as well. They put the objects in a cart and put stipulations on what it meant if the cows went one way or another, thinking the animals would prove it was by chance and not by God all of this happened. We put stipulations and meaning on objects or actions as well and say it means God is with us or it’s His will or not, when in reality we have no clue. 7) The people made a burnt sacrifice to God, using the cows sent over. However, 70 people looked into the ark and God killed them for it since this was against His laws. Believers blatantly disregard Him and His commands such as we see here with looking into the ark of the covenant. 8 ) Personal Question. My answer: God is in control, and He rewards His people when they obey and puts consequences on them when they disobey. As long as I obey, I’m rewarded. When I disobey, I’m not. This isn’t exactly an encouraging passage. However, it does make a point: obey God or suffer the consequences. The Philistines kept the ark of the covenant for 7 months because they did not want to part with such a trophy. However, ultimately, they had to. It can take a long time before we realize the futility of resisting God. The Philistine priests had enough sense to know they offended the LORD God. Therefore, they knew they should do something to express their sorrow and repentance before the LORD. We were not told in 1 Samuel 5 that the plague involved rats. Acknowledging God’s judgement is one way to give Him glory. The Philistines admitted that the God of Israel judged their gods and had jurisdiction over their lands. They confessed that He was Almighty God, yet they did not worship Him instead of their gods. Big mistake. The Philistines decide to test God to make sure the plague was sent by Him. The test was stacked against God. Two milk cows which have never been yoked should not pull a cart at all; instead, they should have resisted their yokes. Additionally, the Philistines separated the babies from their mothers. The “maternal instinct” of the cows would draw them not towards the land of Israel, but back home to their own calves. The Philistines devised a test that “forced” the God of Israel to do something miraculous to demonstrate He really was the cause of the plagues. God never wanted the ark to be transported by a cart. He wanted it to be carried by poles set in rings on the side of the ark (Numbers 4:15). The ark didn’t have “handles” and was not to be carried by lifting it directly in one’s hands. Instead, it was to be carried by inserting gold-overlaid wood poles into gold rings at each corner of the ark. The poles were to remain inserted in the rings, and to be the source of contact with the ark. Apart from touching the poles, it was forbidden to touch the Ark of the Covenant (Exodus 25:12-15). Ironic how the Philistines were wise enough not to look in the ark of the covenant and instead placed the models next to it, but the Israelites weren’t. Of course, the cows showed God’s glory. Two cows who never pulled a cart before with no driver left home and marched the ten miles or so to a city they had never been to. They left their own calves behind and went straight on a certain road, with never a wrong turn, never a stop, never turning aside into the fields to feed themselves, never turning back to feed their own calves. The cows were unhappy about doing God’s will cause they lowed. The Israelites finally had God back (He had never left them, but in their minds He had). In a strict sense their offering was against the Mosaic Law. First, they offered female animals to the LORD, which was forbidden (Leviticus 1:3; 22:19). Second, they made a burnt offering to the LORD away from the tabernacle, which violated the command in Deuteronomy 12:5-6. Yet God knew both their hearts and the remarkable circumstances, and He was no doubt honored. The Israelites were careful to let the Levites handle the ark, as was commanded by the law (Numbers 4:1-6, 15). Beth Shemesh was a priestly city (Joshua 21:16), so priests were on hand. 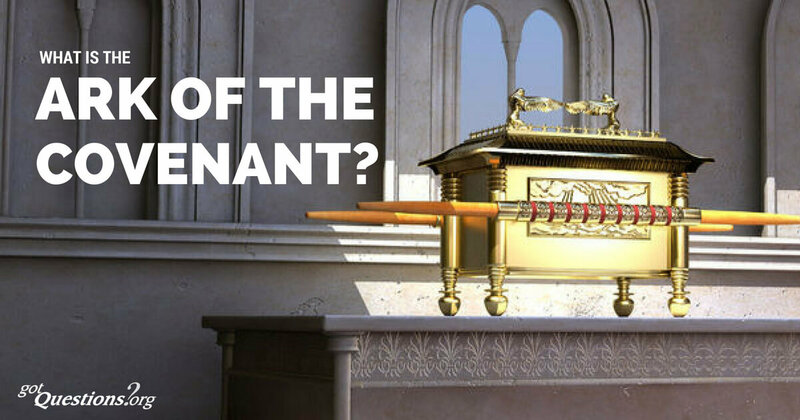 The Ark of the Covenant was only to be touched and handled by specific Levites from the family of Kohath, and even they were commanded to not touch the ark itself (Numbers 4:15). The men of Beth Shemesh sinned by not only touching the ark, but also looking into it inappropriately. God dealt with the Israelites more strictly than He dealt with the Philistines who just transported the ark by a cart. God did this because the Israelites, who had His law, should have and did know better. It is sad to consider that the Philistines showed more honor to the holiness of God than the Israelites. Isaiah 55:8-9 shows this thought: “For My thoughts are not your thoughts, nor are your ways My ways,” says the LORD. “For as the heavens are higher than the earth, so are My ways higher than your ways, and My thoughts than your thoughts.” We need to respect the fact that God is God and we are not, and there are some things we just will not, and should not, know. Holiness means that God is separate, different from His creation, both in His essential nature and in the perfection of His attributes. When Peter saw the holy power of Jesus he said, “Depart from me, for I am a sinful man, O Lord!” (Luke 5:8). When the disciples on another occasion saw the holy Jesus shining forth at the transfiguration, they were greatly afraid (Matthew 17:6). When we meet the Holy God, we are excited and afraid all at the same time. 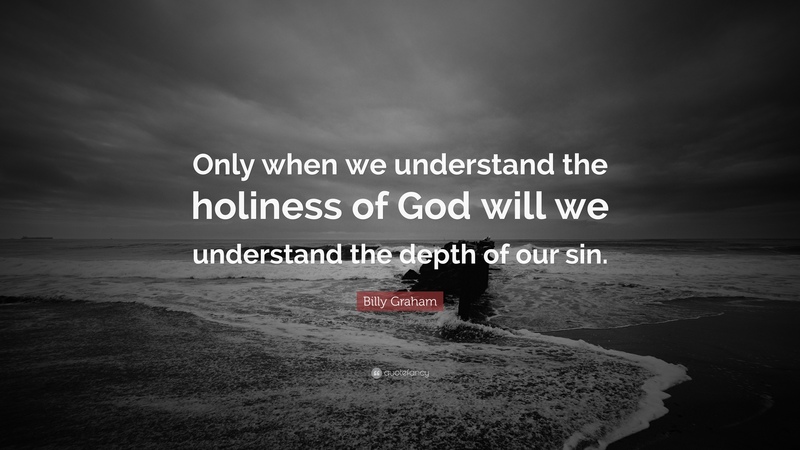 Holiness is part of the new man we are in Jesus (Ephesians 4:24), and we are invited to be partakers – sharers of Jesus’ holiness (Hebrews 12:10). Though God is holy and apart from us, instead of building a wall around His apartness, God calls us to come to Him and share His apartness. 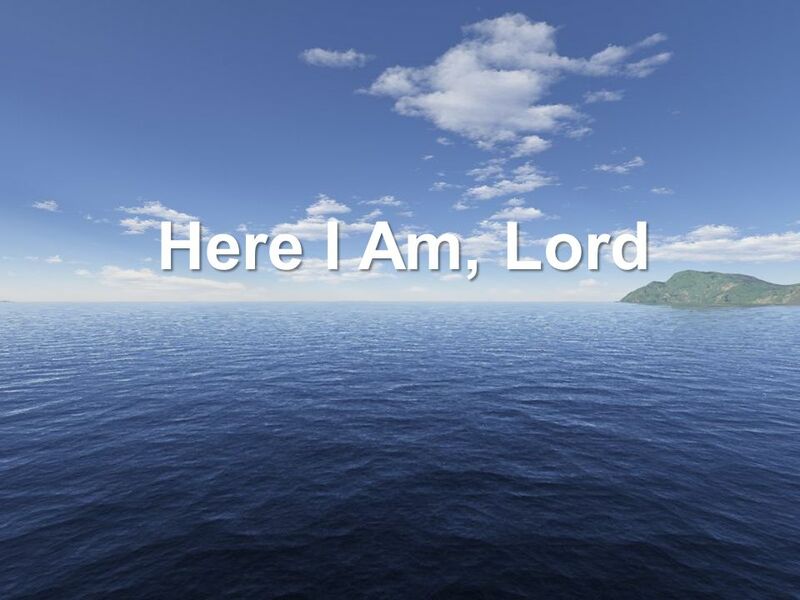 As it says in 1 Peter 1:16, God calls us to be holy, for I am holy. Holiness is not so much something we have as much as it is something that has us. We don’t know why they picked this village. All we know is the men of Kirjath Jearim received the ark and it stayed there for many years until King David brought it to the city of Jerusalem (2 Samuel 6). Israel fought against the Philistines who defeated them. Not understanding why, the elders of Israel decide to bring the ark of the Covenant out from Shiloh and take it into battle, hoping then they’ll defeat the Israelites. At first, the Philistines were scared, knowing the history of the God of Israel and how powerful He is. However, they rallied and the Israelites were defeated, losing 30,000 men. They fled to their camp and the ark of God was captured. Eli’s sons, who brought the ark back, died in the battle. Hearing the ark of the Covenant had been captured, Eli who was 98 years old, fell over dead after having led Israel for 40 years. Phineas’ wife gave birth after his death, named her boy Ichabod, which means no glory. The Philistines took the ark from Ebenezer to Ashdod and set it in their god Dagon’s temple. The god had fallen before the ark of the Lord! God afflicted tumors upon the people for stealing the ark. The ark was moved to Gath where the same tumors afflicted those people. Next, the ark was sent to Ekron where people died and were afflicted with tumors so the Philistines decided to send the ark back to Israel. 3) The ark of the covenant was the place God/His glory dwelled. It held the broken Ten Commandments by Moses and the Testimony by God, the gold jar of manna, and Aaron’s staff. The Israelites were hoping God would be with them in battle if they took the ark of the covenant with them and grant them victory over the Philistines. 4) When the ark of the covenant arrived in the Israelites’ camp, all Israel shouted so loud the ground shook and scared the Philistines to the point they almost retreated. When the ark was captured, Eli and his two sons died because of it. When the ark was captured, all of Israel mourned and of course the Israelites were defeated in battle. Phineas’ wife gave birth to her baby. God is in control. Just because the Israelites thought God would show up and give them victory if they brought the ark with them, didn’t mean He did. They did not consult God on this matter. God also afflicted tumors on people as punishment for stealing the ark. God is God. He does what He wants. 5) This would be when they use God’s word to justify their actions. Pick and choose pieces of the Bible they think support their decisions. They claim God is with them in this or that decision when He’s not. Great lesson on God being in control. Just because you parade God around doesn’t mean He’s going to do what you want Him to do when it’s not in His will. The Philistines were an immigrant people from the military aristocracy of the island of Crete (Amos 9:7). Small numbers of Philistines were in the land at the time of Abraham, but they came in larger numbers soon after Israel came to Canaan from Egypt. They were organized into five city-states. The Philistines were the first people in Canaan to process iron. Israel competed on more equal terms with Moab and Ammon, but the Philistines had Greek military equipment (such as helmets, shields, chain mail armor, swords and spears) making the Philistines more formidable opponents. During this time there was no great world power (such as Egypt or Assyria) seeking to dominate the region. So, Israel’s battles were waged against her near neighbors, such as the Moabites, the Ammonites, or as here, the Philistines. Why bring the Ark of the Covenant into battle? The Ark of the Covenant was the representation of the throne of God in Israel. Kept in the most holy place of the tabernacle, the people never saw it. Only the high priest entered and saw the ark, and only once a year. The elders wanted to take this representation of the throne of God out of the holy of holies (it could be moved when the tabernacle was to be moved), cover it, and bring it into battle with them. They hoped it would give confidence that God was really with them. The ark went into battle before. The ark went in front of the marchers around the city of Jericho (Joshua 6:6-8). Moses told the priests to lead the ark into battle against the Midianites (Numbers 31:6). Later, Saul brought the ark into battle (1 Samuel 14:18), as did David (2 Samuel 11:11). The elders rightly sensed they needed God’s help to win the battle. But they were wrong in the way they sought help. Instead of humbly repenting and seeking God, they turned to methods that God never approved. They only cared if it worked. They regarded the ark as the ultimate “good luck charm” and believed they could not lose with it there. They looked to the ark to save them, not to the LORD. Why did the Israelites’ shouting upon seeing the Ark of the Covenant not work? The Israelites thought they could manipulate God and force Him into doing what they wanted Him to do. Their shouting was not from the heart nor did the Israelites have faith. The Philistines knew the history of God and of the ark going into battle with the Israelites, but they did not submit to God. Hence, the tumors sent when the ark was taken as punishment for unbelief. What do we learn from the Philistines’ victory over the Israelites? Instead of giving up when things look bad we should trust the LORD and fight all the harder and decide we will not give up. Courage and persistence win many battles, even sometimes for the wrong side. Why did the Israelites lose this battle? The Philistines fought with the courage of desperate men. The Israelites felt the battle would be easy with the ark of the Covenant there and did not try as hard. God did not bless Israel’s superstitious belief in the power of the ark instead of the power of God. God did not appreciate being summoned to win a battle like a genie in a bottle. The Israelites believed if God was with them, they didn’t need to try so hard. 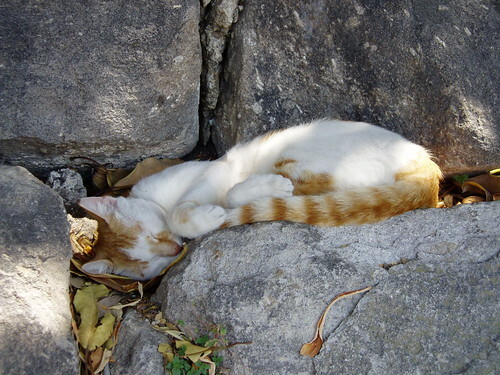 We do this same thing. We think if God is on our side, the work will be easy. Not only did Israel lose this battle, they lost far worse than they did before taking the ark into battle. The loss which prompted them to take the ark resulted in the death of about four thousand men of Israel (1 Samuel 4:2). With the ark more than seven times as many men of Israel were killed. Fun Fact: In the late 1970’s, a five-line inscription was found on a grain silo in the ruins of Izbet Sarteh. When deciphered, it was found to contain a Philistine account of this battle, the capture of the ark, even specifically mentioning the priest Hophni. This is the earliest known extra-biblical reference to an Old Testament event. Why did God allow the ark to be captured? Losing the ark was far worse than losing the battle. The very “thing” they thought would win the battle was captured. Israel made an idol of the ark and God often deals with our idolatry by taking the idol away. God wanted to make sure the Israelites understood their mistake and punished them severely. Even a good thing can be made an idol. God does not tolerate idols. God still used the ark for His glory as He punished the Philistines wherever the ark traveled. We see the fulfillment of God’s promise that the two sons of Eli would die on the same day as proof of His ultimate judgment on the house of Eli (1 Samuel 2:34). 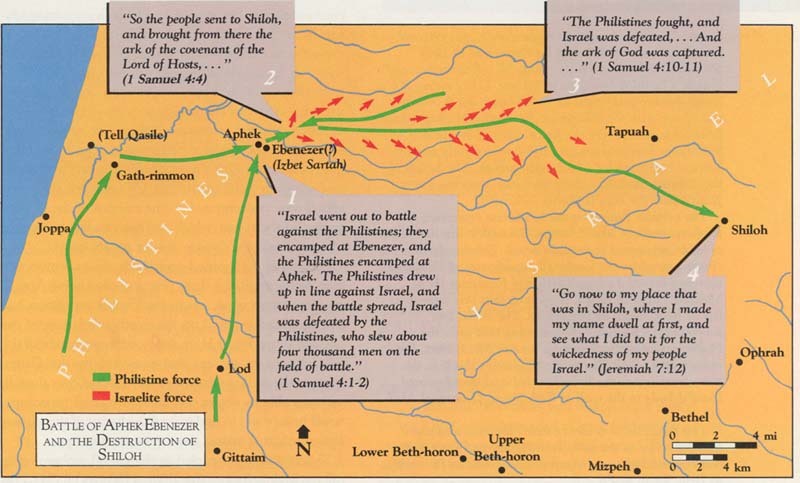 The battle was fought near Aphek (1 Samuel 4:1), and it was at least 20 miles from Aphek to Shiloh. The messenger had a long way to go, the route was mostly uphill, and he carried very bad news. Because the news was so bad he came with his clothes torn and dirt on his head. These were some of the traditional signs of mourning. The messenger brought bad news, and he let his appearance reflect how bad the news was. The next time we encounter Eli’s family, they have moved as a group to Nob. Several Bible passages mention Shiloh’s destruction as a punishment for sin (Psalm 78:60-64, Jeremiah 7:12 and 26:9). As an important site for worship, the Israelites were even more in despair at its destruction. He allowed it as a righteous judgment upon Israel as a nation and the family of Eli. They simply received what they deserved. Secondly, God allowed it as a correction to the nation, so they would not trust in the ark of God, instead of in the God of the ark. Finally, though it seemed so terrible to man, was it all that terrible to God? At that moment, did God wring His hands in heaven, worried about how things would turn out? Worried about His reputation? Worried about the Philistines and their gods? Looking at it this way, the glory had not departed at all. Instead, God was just beginning to show His glory. What do we learn from the defeat of the Israelites and the capture of the Ark of the Covenant? Many circumstances that we regard as a calamity, God uses in a marvelous way to glorify Himself. Israel was right to be sad at the loss of life and the ark on that day. But they should have been confident, knowing God was well able to take care of Himself. No doubt, the Philistines were jubilant and confident in the superiority of their god over the God of Israel. They faced the God of Israel in battle and believed their god Dagon delivered them and defeated Israel. Dagon was half-man, half-fish and believed to be the father of Baal by the Philistines. Now, the Ark of the Covenant of Israel’s God stood as a trophy in the temple of their god Dagon. The victory seemed complete. Instead, the statue bowed down before the ark of the covenant. What do we learn from the ark being with the Philistines? God will glorify Himself. He doesn’t need man to do so. God can be as a fragrance of life to some and the aroma of death to others (2 Corinthians 2:15-16). It’s our choice. God had given the Philistine priests a chance to turn from their god Dagon to Him. They rejected God despite the evidence. Now they would be punished. God would try again, only this time, it would be harsh. The Philistines sent the ark back. They got rid of God. But we can’t get rid of God nor push Him away. One day, we’ll all answer to Him. “The true test of greatness is measured by the accomplishments of those you surround yourself with, those who come after you.” Mark Batterson Chase the Lion. After the death of Joshua, a strong leader who obeyed God and led the Israelites faithfully to his last days, a void was left. Who would fill that void? Preoccupied with fighting for land, military leaders became the law of the land, the Judges. Judge Ehud, Gideon, and Samson all did their best but when you’re fighting for your homeland, little else matters. Most of the time the Israelites hid in the hills, outnumbered and out technologied (made that word up) by their opponents who had chariots, which would be the equivalent to tanks in modern times. The Israelites relied on guerrilla warfare and strategy to make up for numbers and strength. The book of Judges in the Bible is filled with tales of flawed characters who mostly did allowed their sinning self to control their lives and shut God out. Samson lusted for women. Gideon led the nation into idolatry. Abimelech killed most of his brothers so he could be king. And the list just goes from bad to worse throughout the entire book of Judges. Why did the Israelites sink into sin? Influenced by those around them, Israel slowly turned from God to idol worship. Separated by enemies in the valleys, the Israelites slowly separated from each other. Controlled by sin, the Israelites fought each other as well; it was every tribe for itself. What do we learn from the Book of Judges? God allowed suffering as a consequence of the Israelites’ disobedience. When things grew really terrible, the Israelites would turn back to God. He’d send a judge to rescue them. But soon they’d degenerate back to sin. This cycle continued over and over again, but God would not give up on His people. He would rescue them once and for all–by instituting kings over the people. Why did BSF skip the Book of Judges? To this, I have no answer. Judges contains the famous story of Samson and Delilah as well as Gideon. I’m assuming for time constraints, but since BSF (Bible Study Fellowship) did break this study into two parts, one lesson in the Book of Judges would have been nice. Yes, it’s full of evils, but how can we rid ourselves of sin without studying the devastating effects of sin? God first speaks to Samuel late at night as he lay in the temple. Samuel thought it was Eli calling him but by the third time, Eli realized it was God calling Samuel. He tells Samuel to ask the Lord to speak. The Lord tells Samuel He will carry out the consequences against Eli and his sons. Eli does not punish Samuel for these words. 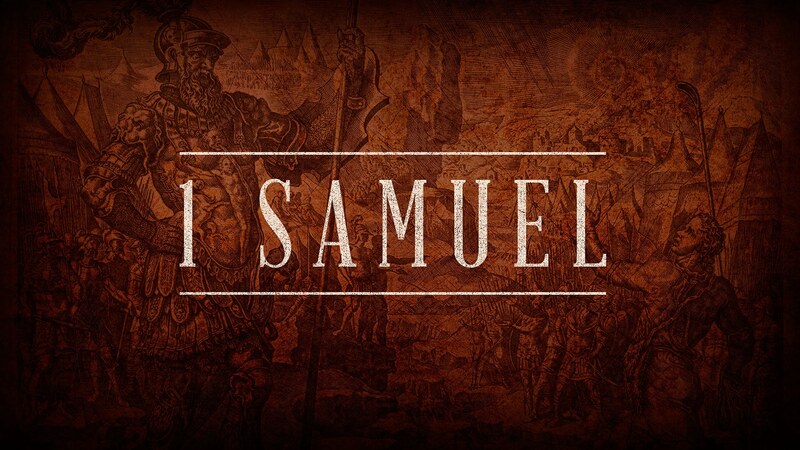 Samuel continues to grow and prosper, and he was recognized all over Israel as a prophet of the Lord. 12) God repeatedly calls Samuel until he figures it out. He does this for us as well. God calls Samuel when he’s tired and in His temple. God calls us too when we least expect it. God reveals. Samuel is honest with Eli, but he’s afraid of him as well. Eli is gentle with Samuel. 13) It’s a huge privilege and responsibility as the Lord’s servant. If you abide sin, you suffer severe consequences. If you’re obedient as Samuel is, you are blessed by God’s presence and voice. As Christians saved by Jesus, we all have a huge privilege and responsibility as God’s people. It’s not quite as big as a priestly role, but it’s one we need to take seriously. 14) Personal Question. My answer: God has revealed to me His love, how to live, how to love others, how to be saved and how to save others, how to be kind and gentle, and how to behave. These are just a few revelations. God’s Word reveals all secrets to life. Tell others. Live out a Godly life. I love how God uses children. Children are often dismissed by adults as not knowing anything. Samuel proves God cares for them just as much as adults. I can just imagine how cute Samuel must have been, running to Eli and saying, “Here I am!” If only we could do the same thing when God calls. We see for the third time Samuel ministered to the LORD (also in 1 Samuel 2:11 and 2:18) just as Aaron and his sons did at their consecration as priests (Exodus 29:1) and just like Paul and Barnabas did before they were sent out as missionaries (Acts 13:1-2). The only word of the LORD we read of in the first two chapters of 1 Samuel is the word of judgment brought by the man of God against Eli. God didn’t speak often, and when He did, it was a word of judgment. Why did God stop speaking to His people? Because of the corruption of the priesthood. God will speak, and guide, when His people seek Him, and when His ministers seek to serve Him diligently. Eli was spiritually and physically blind. His age made him an ineffective leader for Israel. What’s the lamp of God? Exodus 27:21 refers to the responsibility of the priests to tend the lamps until sunrise, or just before dawn. Samuel was an obedient boy who showed concern for Eli by running to him. Eli was blind and might need help. What do we learn from the repeated calls from God? When speaking to us, God almost always confirms His word again and again. It is generally wrong to do something dramatic in response to a single “inner voice” from the LORD. If God speaks He will confirm, and often in a variety of ways. Samuel was a godly and obedient boy, serving God wonderfully. Yet, he had not yet given his heart to the LORD. 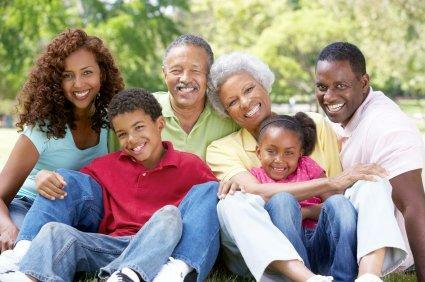 Even children raised in a godly home must be converted by the Spirit of God. What do we learn from Eli’s directives to Samuel? Humble yourself before God and His word (Your servant hears). Some scholars believe since the Lord came and stood this could be an appearance of the LORD, perhaps in the person of Jesus before Bethlehem. This was not a dream or a state of altered consciousness. Tingling ears are signs of an especially severe judgment (2 Kings 21:12, Jeremiah 19:3). Through the word of the man of God in 1 Samuel 2:27-36, Eli already heard of the judgment to come. This word to young Samuel was a word to confirm the previous message from God. Probably, the judgment declared by the man of God in 1 Samuel 2:27-36 was a warning, inviting repentance. Because there was no repentance God confirmed the word of judgment through Samuel. Or perhaps Eli pleaded that God might withhold His judgment, and this is God’s answer to that pleading. All of our sins are atoned for unless we reject the sacrifice of Jesus for our sin. As Hebrews 10:26 says, if we reject the work of Jesus for us, there no longer remains a sacrifice for sins. Of course, Samuel didn’t sleep at all. We see young Samuel laying on his bed, ears tingling at the message from God, wondering how he could ever tell Eli such a powerful word of judgment (Samuel was afraid to tell Eli). It was hard to tell God’s judgment, but it is our responsibility to do so. This phrase means all of Samuel’s prophecies came to pass and were known to be true words from God. Since the days of Moses (some 400 years before the time of Samuel) there were not many prophets in Israel and certainly no great prophets. 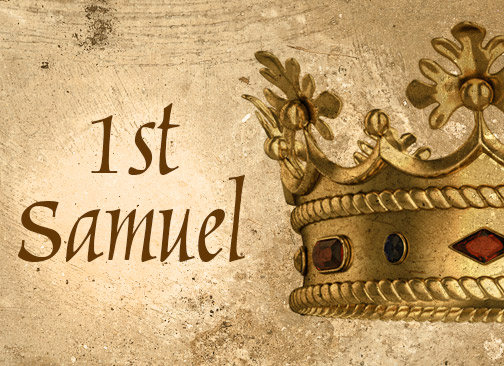 At this important time in Israel’s history, God raised up Samuel as a prophet. Coming in this place in Israel’s history, Samuel is rightly seen as Israel’s last judge and first prophet. Samuel bridges the gap between the time of the judges and the time of the monarchy when prophets such as Nathan, Elijah, and Isaiah influenced the nation. When did the Lord first appear in Shiloh? He appeared to Samuel in 1 Samuel 3:10. Now the LORD appeared again.